Although QR codes have been around for over a decade, they are yet to become a mainstream method for unlocking additional information for consumers on a wider scale. With the explosion in smartphones and camera phones, and other handheld internet enabled devices, this might be about to change though. Over the years there has been some clever use of QR codes to elicit an action from the user, both in offline and online media. People have successfully used it to promote the download of ringtones/music, give access to unique content, give direction to the location of a store or site, or to provide further information about a piece of art or an item of clothing. Instead of telling you more about historical use of QR codes, i thought i would share ideas about future use of QR codes, and where/how I would personally like to see them being used. One of my pet hates at the moment is that there are very little cross functionality between mobile apps where there is a good opportunity and reason for having it. Having a QR code scanner app should feature solutions for accessing content in an associated app where it makes sense to do so (based on the content you are accessing). Say that you are scanning the QR code for a Twitter profile or a Facebook Page, wouldn’t you want the content to open in the respective app instead of opening up in the browser? I know i would. Some fast food chains and manufacturers have started adding QR codes with nutritional information on their products, but still i find that to be a very small minority. You can go to most chain-type restaurants, and even on their websites you will struggle to find any nutritional information on their menu items. Adding small QR codes next to each menu listing would be a great way for visitors to find out the nutritional information for the meal they are about to enjoy. For those of us that are using fitness type apps for counting calories and keeping track of nutritional information, it would also make it so much easier to keep a more accurate account of what we put into our system. Again, some have started to use QR codes for public transport information already, while still many, even in big cities are failing to make it easy for customers to get updated on the arrival of the next bus or train for example. At my own local bus stops here in Leeds you have to send a code to a number via SMS to get real time information, while this could easily have been done with a QR code. Take the example of the World Park campaign for Central Park in New York, a great way to give visitors a totally new experience of the park. Similar ideas could possibly help reinvigorate some high street towns around the UK, help promote shops, locations, restaurants, galleries, museums etc. by giving visitors a fun and interactive way to get around. Only imagination (almost) can limit how businesses, governments, and even individuals can use QR codes to add value to an experience. I will keep posting info on great use of QR codes when i come across interesting implementations of these little squares. 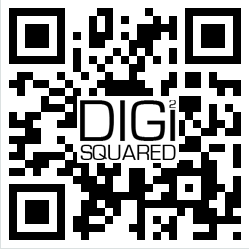 So what is QR codes exactly? A QR code (stands for Quick Response) is a two dimensional barcode working in much the same way as the barcode you will find on products in shops. It was created in Japan in the mid-90′s as a way to identify car parts for manufacturing, but in recent years it has also found its way into mobile marketing etc. The QR code can amongst other things be used to unlock text, URL, other data, or to generate an action such as sending a SMS. With more and more of people’s browsing and daily lives taking place through mobile devices, such as Apple iPhone or Android smartphones, QR codes can be used to enhance experiences for users by unlocking additional information or offers. Jumpscan.com have created the following infographic highlighting the use of QR codes.